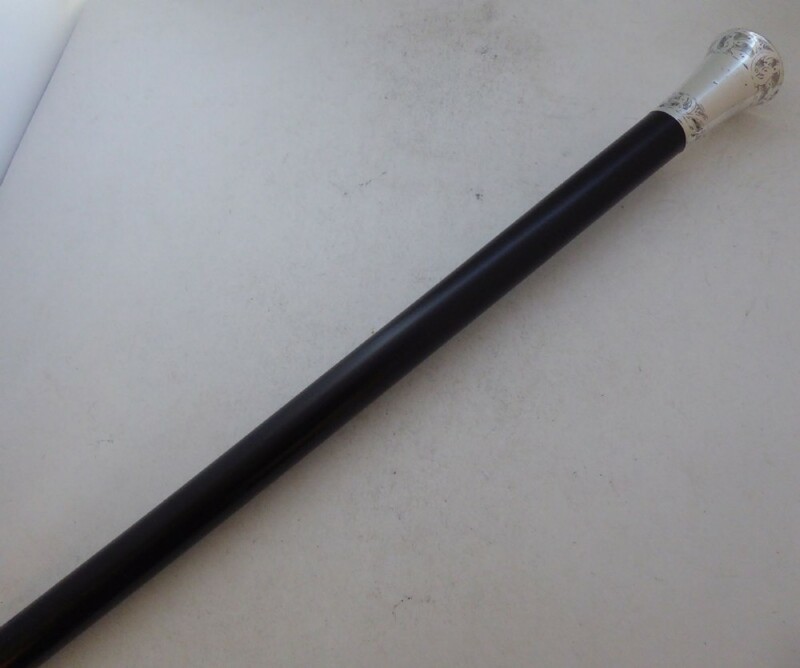 Lovely ebonised hard wood and hallmarked silver walking stick or cane. 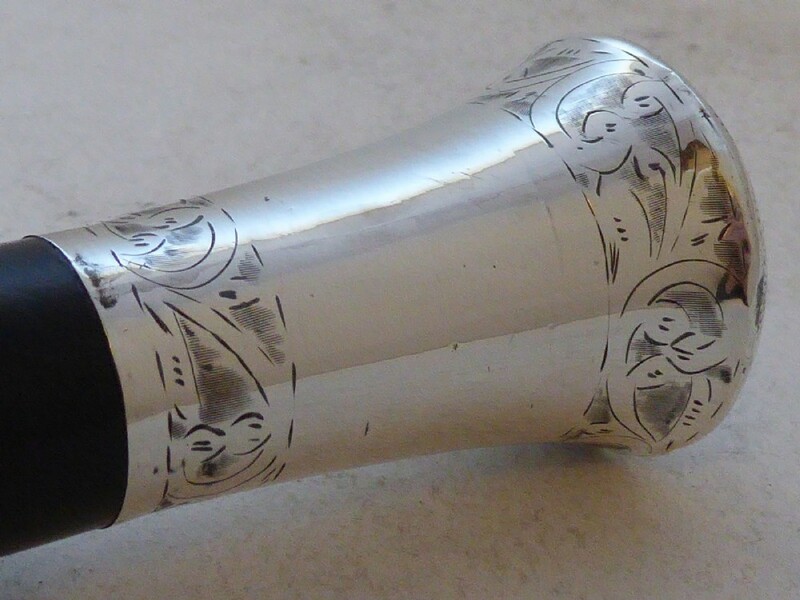 The silver was assayed in Chester as shown in the pictures, you can see the assay stamp to the top of the cane. 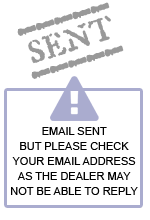 Unfortunately because of the position the date letter has worn over the year. 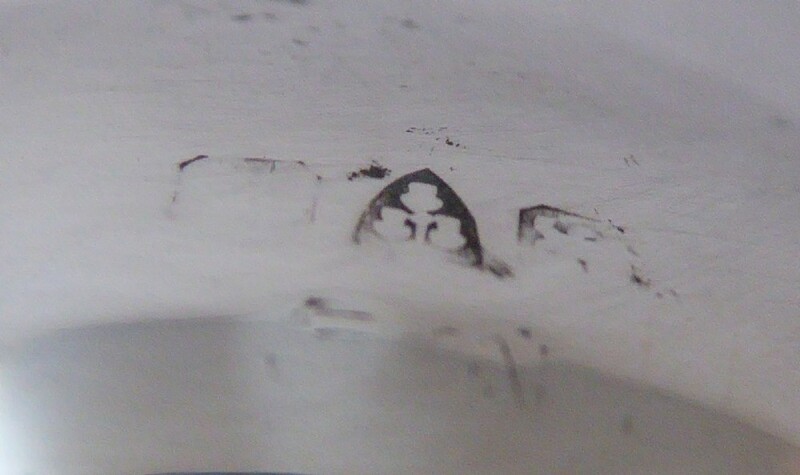 With a glass you can make out the makers mark for Walter Latham. Lovely decoration to the silver top. 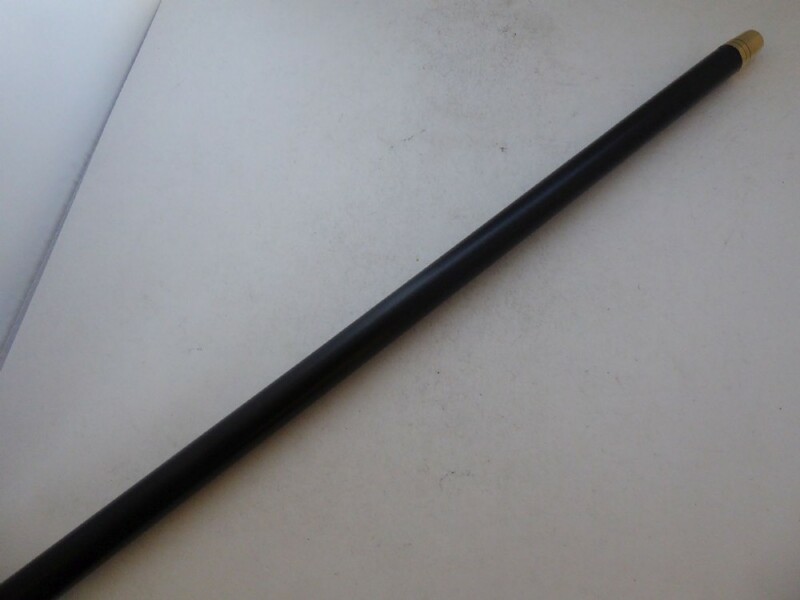 It measures 91 cm 35 3/4 inches in length, the pommel is 3.8 cm 1 1/2 inches wide. 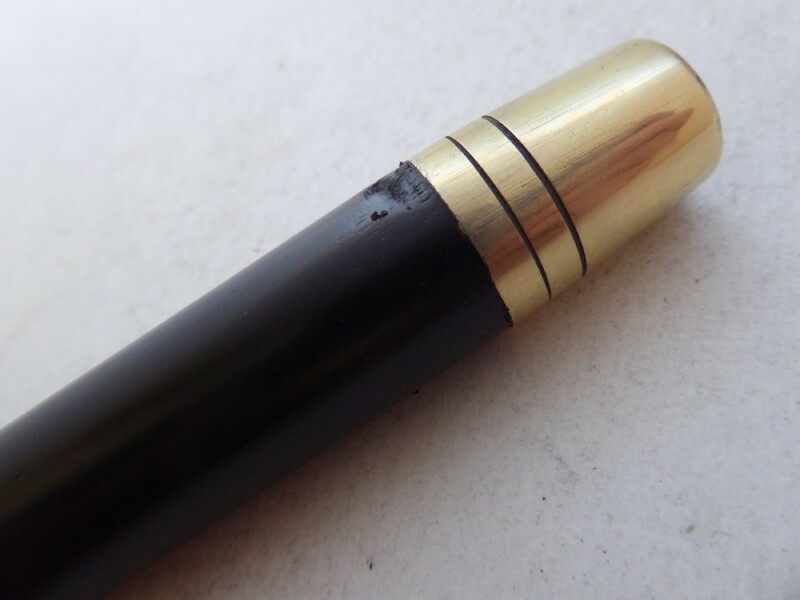 The ferrule is original and made of brass. use as you'd expect at this age. 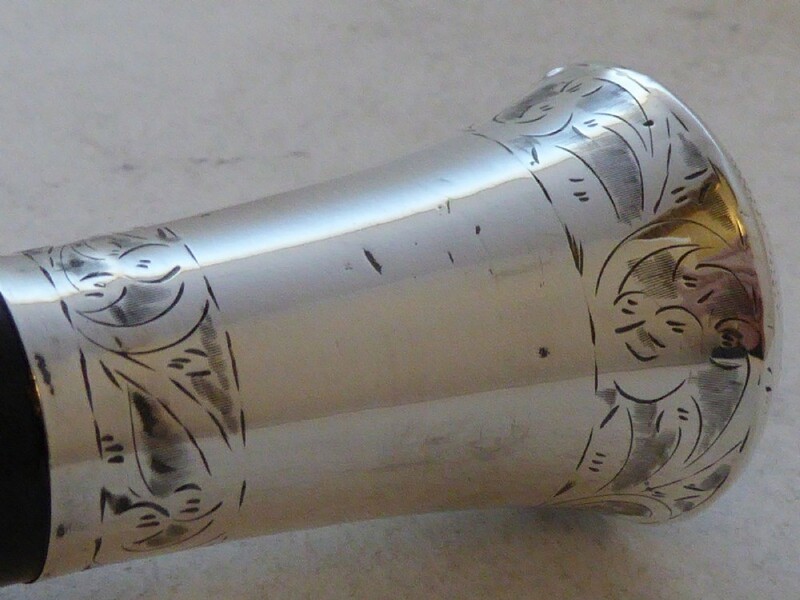 Some bumps, scratches and pitting to the silver as shown. 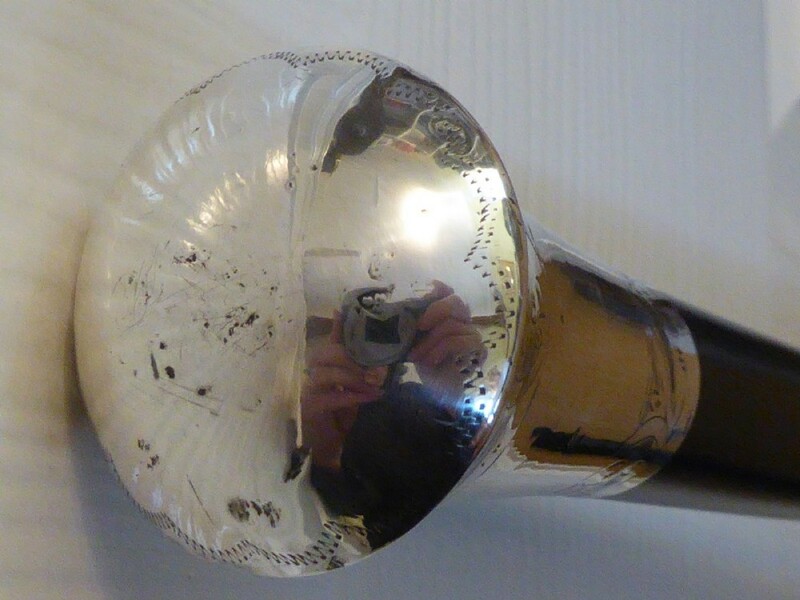 Very slight bow to the shaft as you can see in the full length picture. 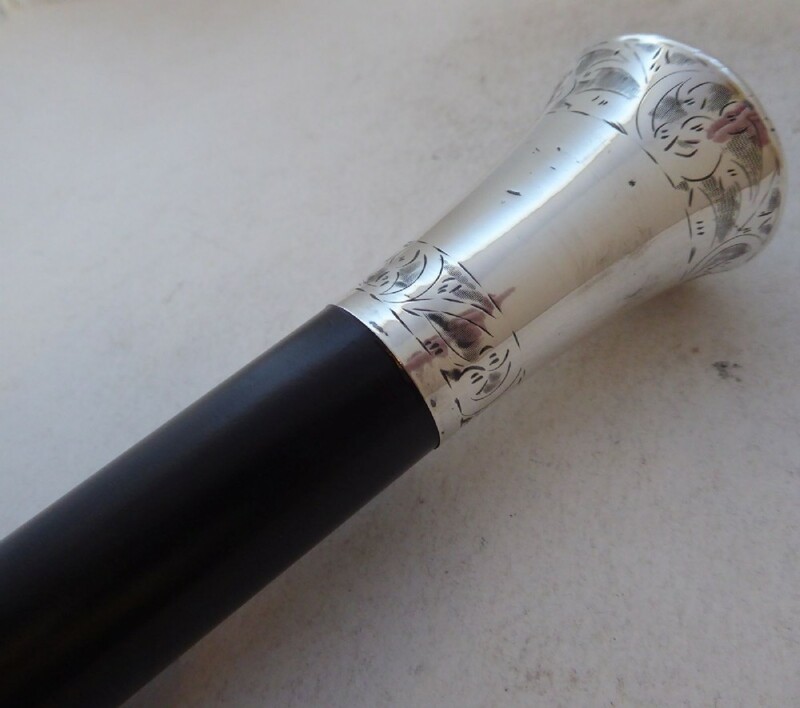 The Walking Stick Cane C1900 Hallmarked Solid Silver Pommel Ebonised Wood Shaft has been added to your saved items.